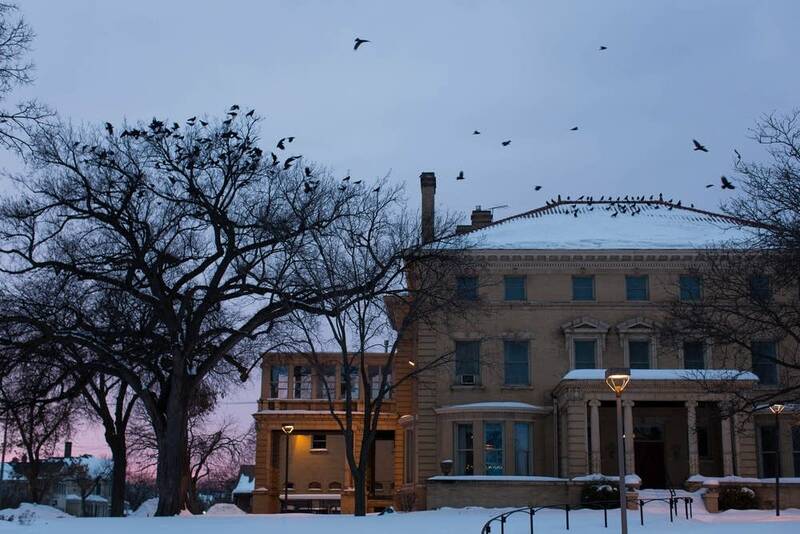 How you can track the thousands of crows that roost nightly near downtown Mpls. Have you ever driven up Interstate 35W in south Minneapolis on a winter evening and seen what, at first glance, looks like a dark cloud overhead? 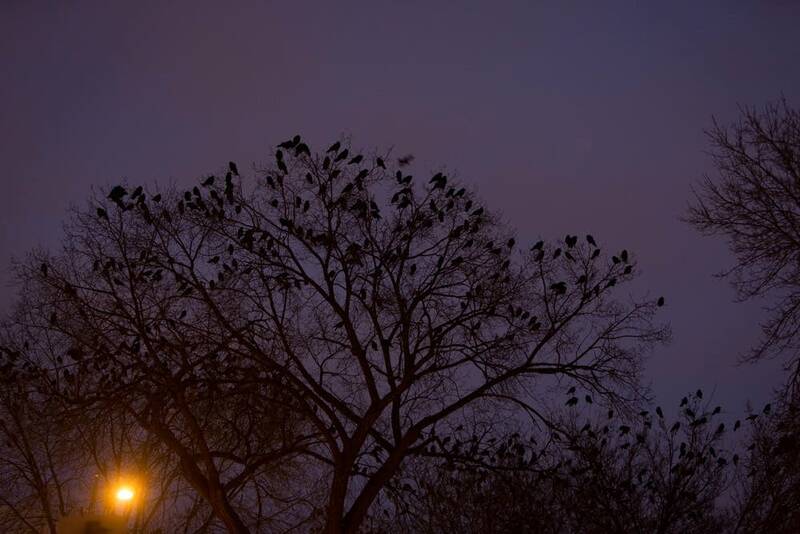 It could be a huge flock of crows, known as a murder, flying to their overnight roost near downtown Minneapolis. 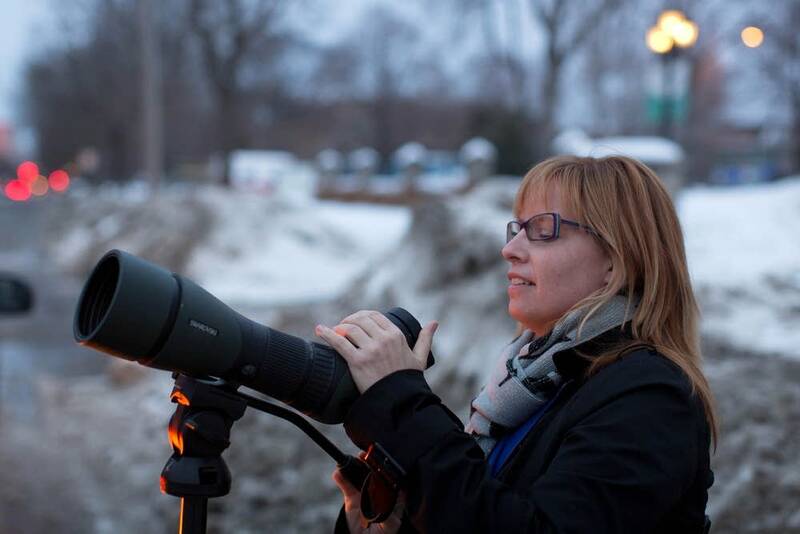 On a recent evening, MPR News' All Things Considered team tagged along with Sharon Stiteler, who blogs as the Birdchick, to learn more about the nightly ritual. During the day, many crows forage for food as far as 30 miles away in the suburbs. "A lot of those crows hung out all day in Dakota County, eating waste corn in the fields down there," Stiteler said. So why don't they stay down where they eat? Safety, Stiteler said. Their main predator is the great horned owl, which can easily nab a lone crow. Every evening, crows gather in groups that progressively get bigger as the night goes on. It's all about the odds. "Crows know that, 'Hey, if I'm one of 500,000, then I'm less likely to be picked off by a great horned owl at night,'" Stiteler said. The most reliable places to see a huge murder is in Elliot Park and Loring Park in downtown Minneapolis. "But the roost is fluid. If something freaks out the crows as they come in, they'll go elsewhere," Stiteler said. Stiteler found the murder on a recent evening in Peavey Field, on Franklin Avenue and Park Avenue South. They were spread out on dozens of trees in the park and on nearby roofs. She estimated there were about 50,000. "When you see them in Elliot Park or Loring Park, it's a tight-knit group. 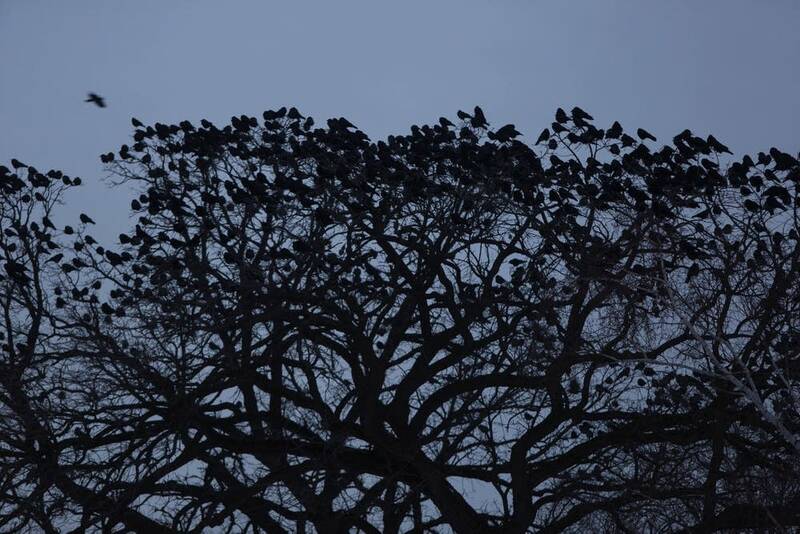 All the trees that are close together are covered in crows. Here though, everybody is spread out. I don't think they've 100 percent settled in for the evening. I think they're still figuring out where they will finally sleep." Searching for crows is fun -- and easy, Stiteler said. Start your hunt about 30 minutes before dusk and, once you locate a few, just follow the birds. "Everybody should do that at least once. It's amazing to see this many birds concentrated in one spot. It's such a spectacle," she said. 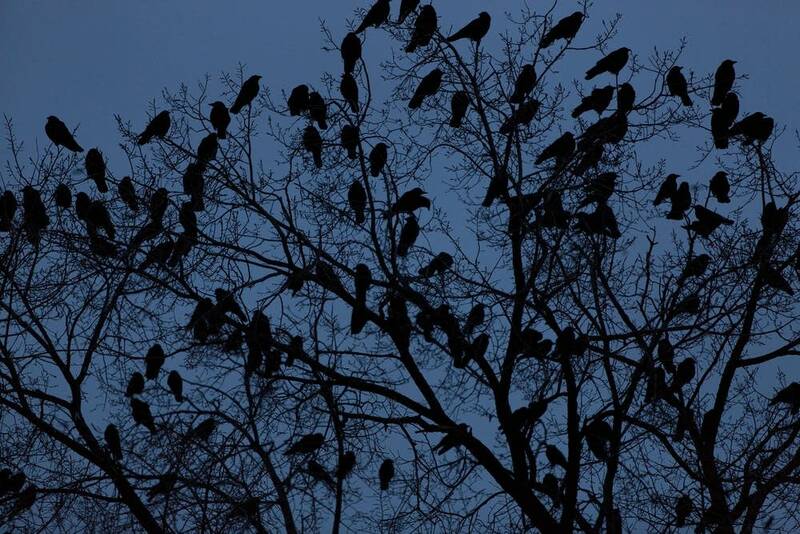 If you go crow searching and find the murder, Stiteler recommends not parking directly under a tree they are settled in -- if they are startled, she warns, they may all poop at once.